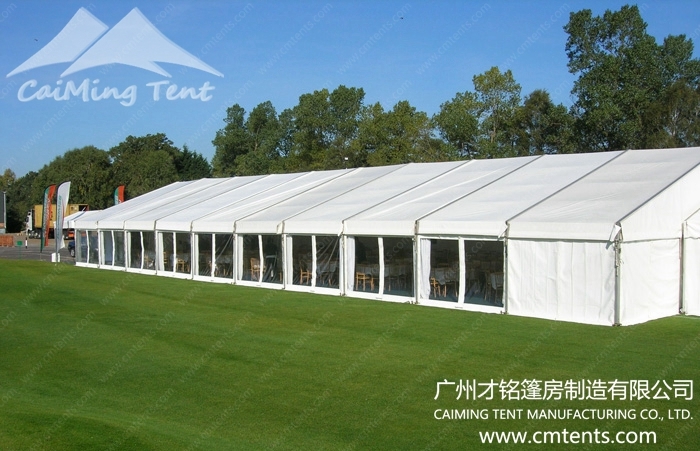 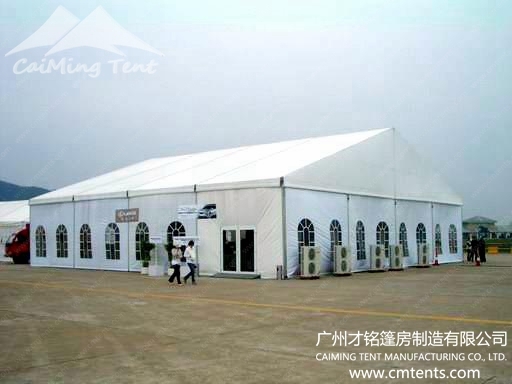 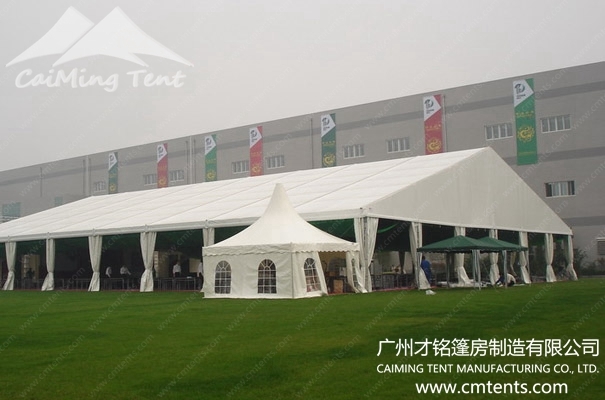 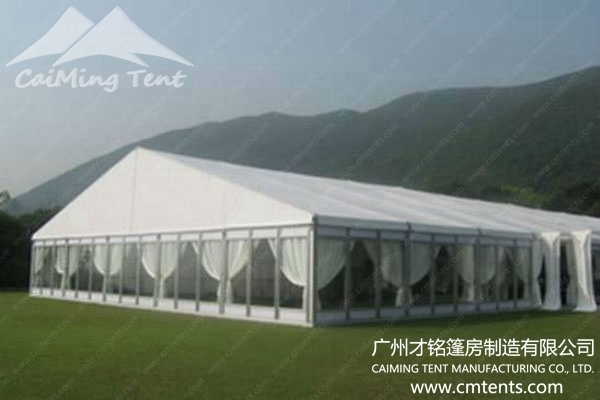 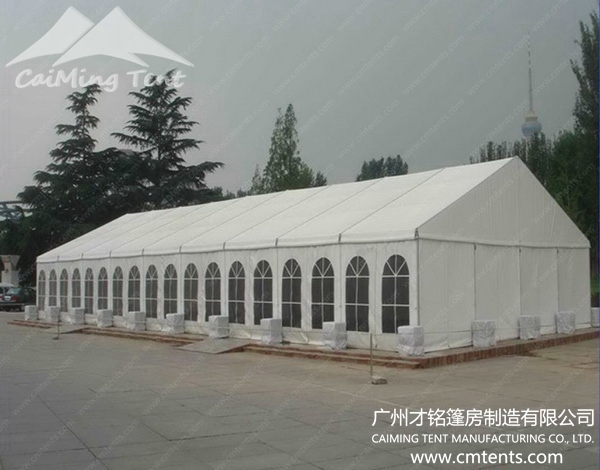 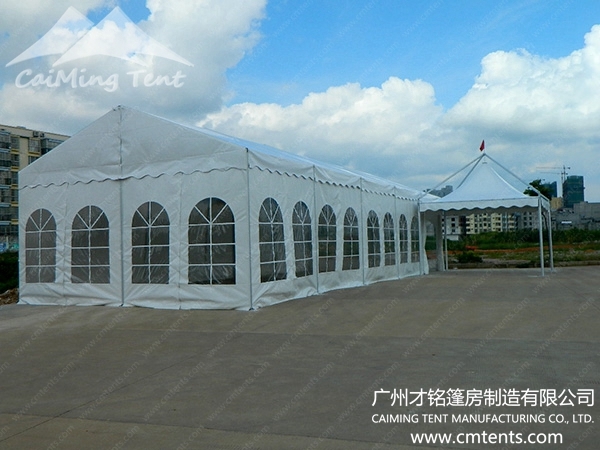 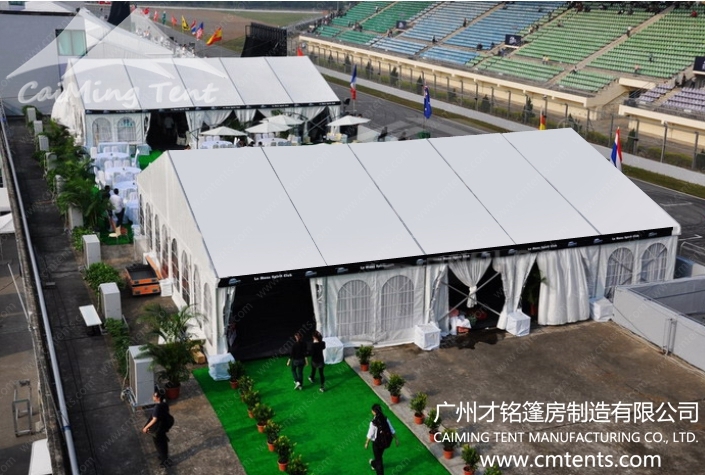 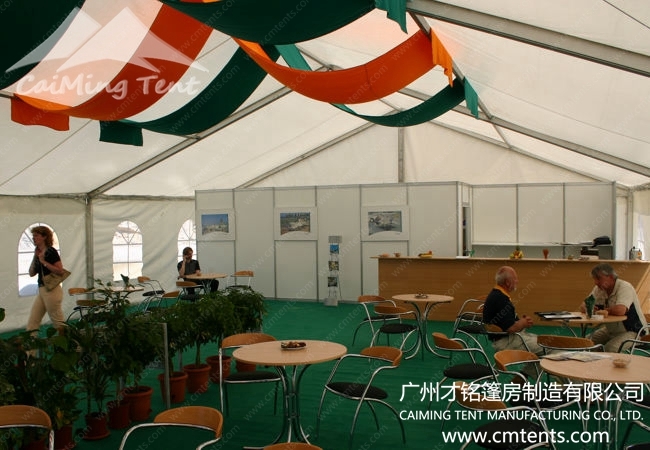 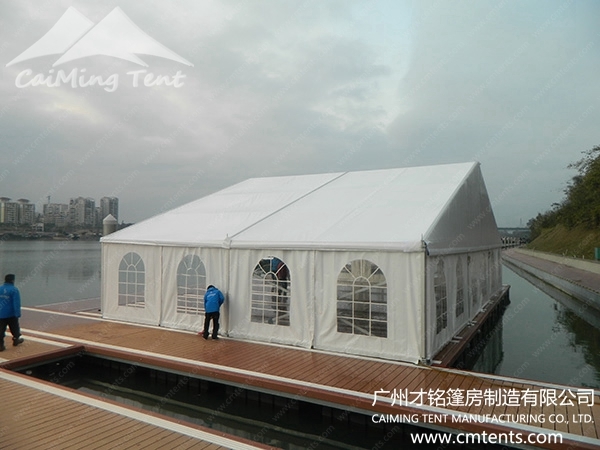 The Australia Party Tent are available in the clear span width of 4m, 6m, 8m, 10m, and 12m and the standard side height is 2.4m. 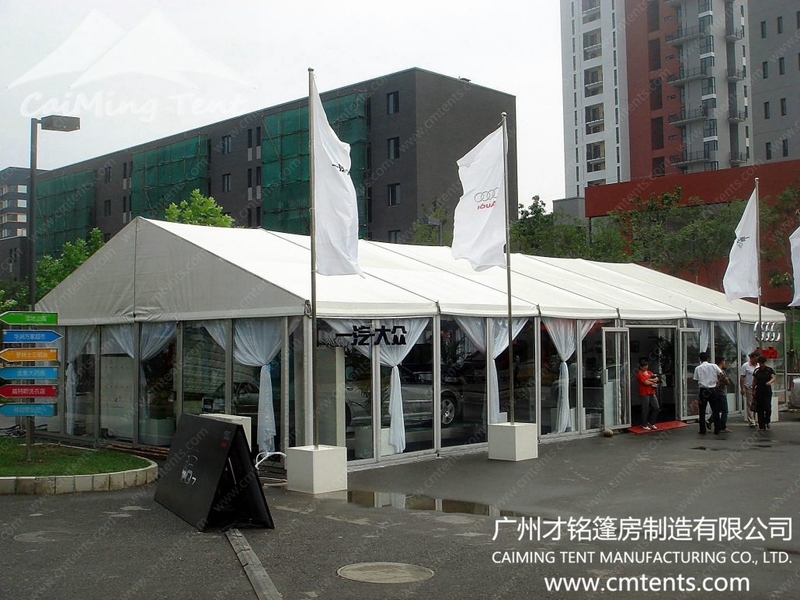 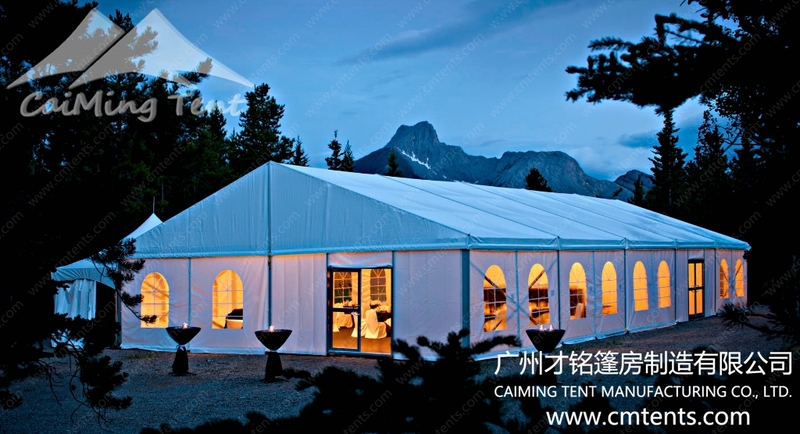 The Party Tent is modular by design so they may be increased or decreased by 3m. 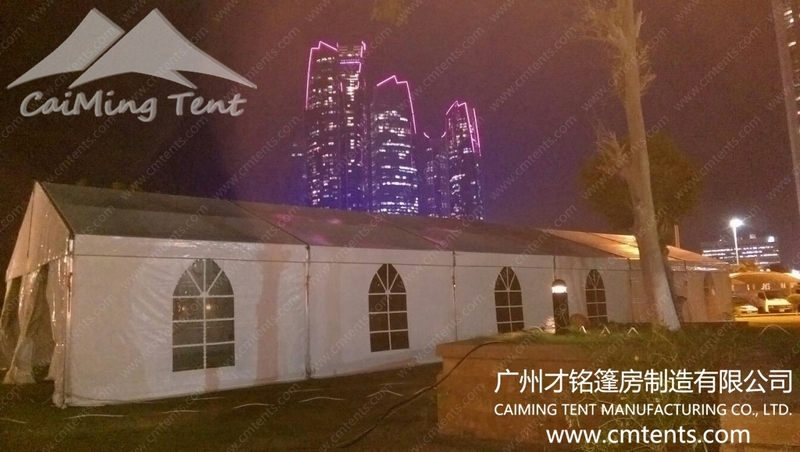 The main frameworks (upright support and roof beams) are manufactured in 2 channels 89x48x3mm hard pressed extruded aluminum. 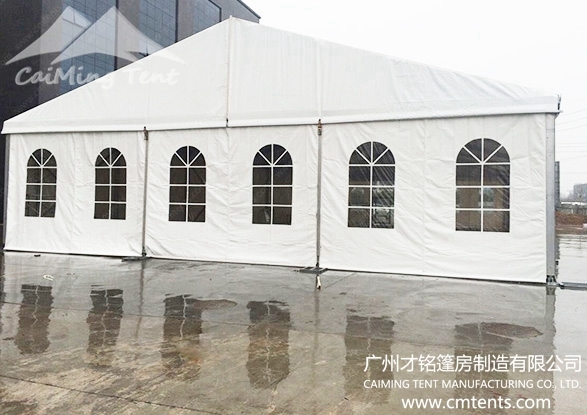 The sidewalls and roof covers are manufactured of 850g/m2 PVCcoated polyester textile flame retardant to DIN4102 B1, M2. 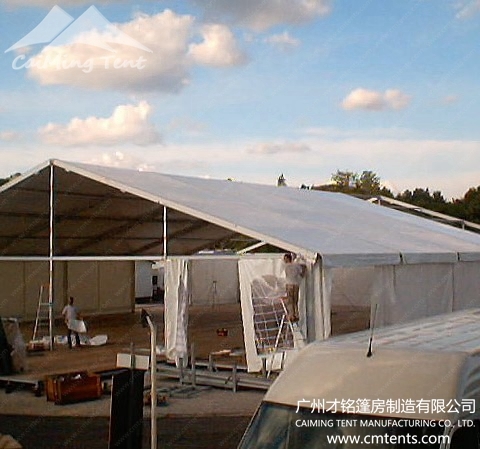 It is easy to assemble and dismantle as well as convenient to store because of its small volume. 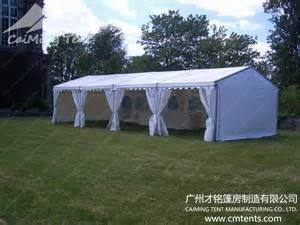 It has a wind load of 100km/hr. 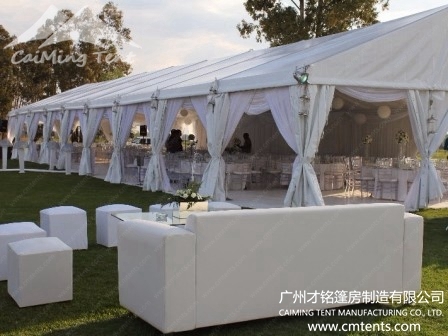 The fabric is available in blockout or translucent. 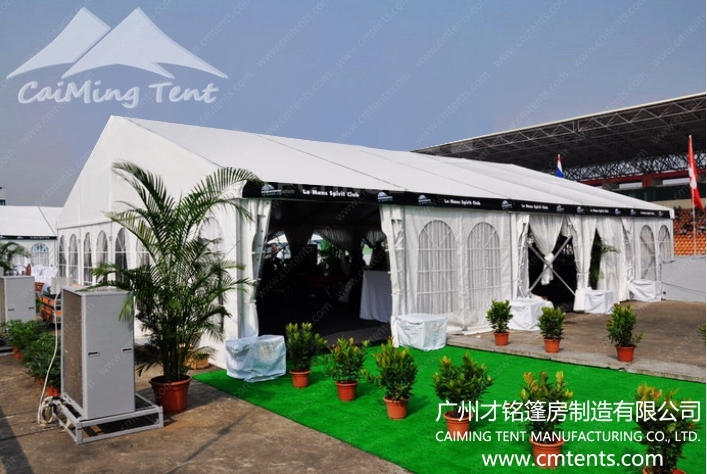 The Australia Party Tent series are available with a complete range of accessories.